How do I add new workspace to my account? To add a Workspace, click on the button in the upper-left corner of the app and click on the Add New Workspace button. Please keep in mind that in order to manage multiple workspaces you will need to update your subscription. ⚙️Settings > Workspaces and click on trash bin icon corresponding to this workspace. Only Owner is able to remove a Workspace. 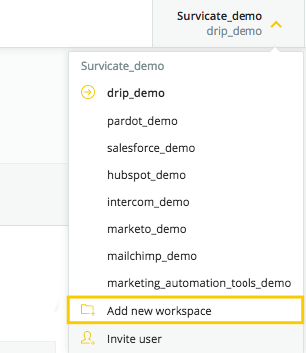 ❗️Removing a Workspace will remove all associated surveys and responses as well!